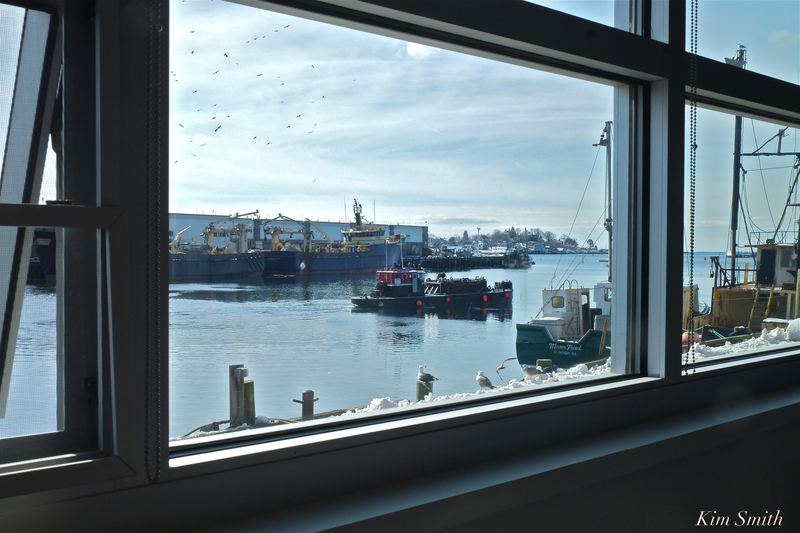 THANK YOU TO ASHLEY DESTINO FOR THE FANTASTIC TOUR OF GLOUCESTER MARINE GENOMICS INSTITUTE! 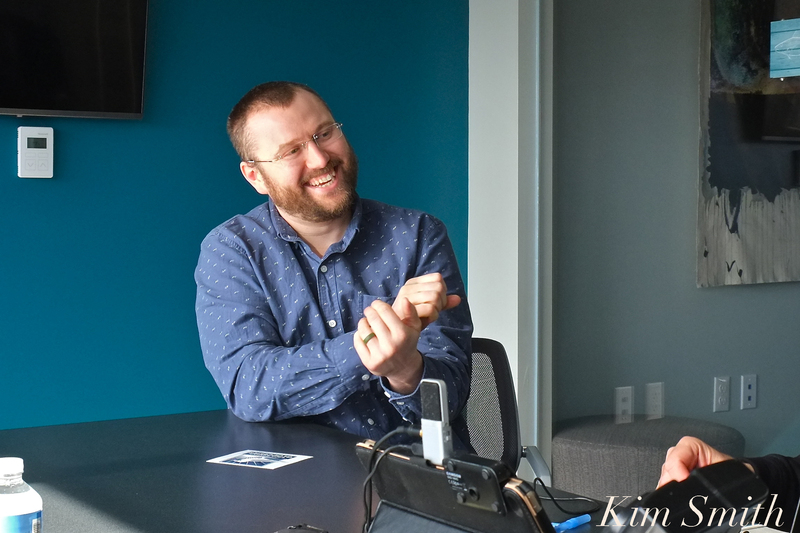 Friday morning, ahead of the first of many public open houses to be held at the Gloucester Marine Genomics Institute, we taped our weekly podcast in the conference room at the stunning new science center. Ashley Destino, development and communications director, gave us a grand tour of the labs, as well as a tour of the second floor. It was all very exciting to learn more about this stellar institution and my favorite parts were interviewing one of GMGI’s lead scientists, Tim Sullivan, and learning about Red Sea Urchins (Mesocentrotus franciscanus). This fascinating species can live for two hundred years, regenerate damaged appendages, and reproduce throughout their life span. The Red Sea Urchin is just one of many species the institute is sequencing. GMGI is also studying blue American Lobsters, one donated by Captain Joe and Sons! At GMGI, Red Sea Urchins are housed in aquariums and fed weekly. Here’s one ‘chowing down’ on iceberg lettuce (just kidding; it was eating so slowly, you could barely tell it was eating at all). 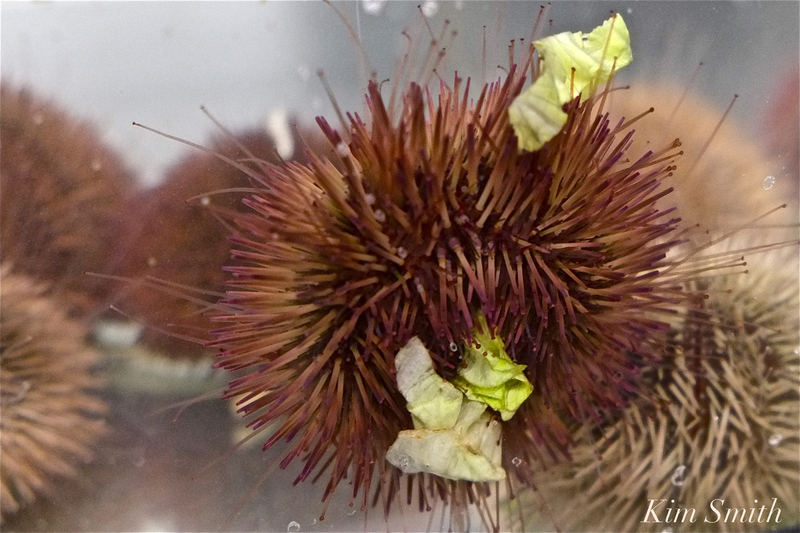 In the wild, Red Sea Urchins eat kelp. 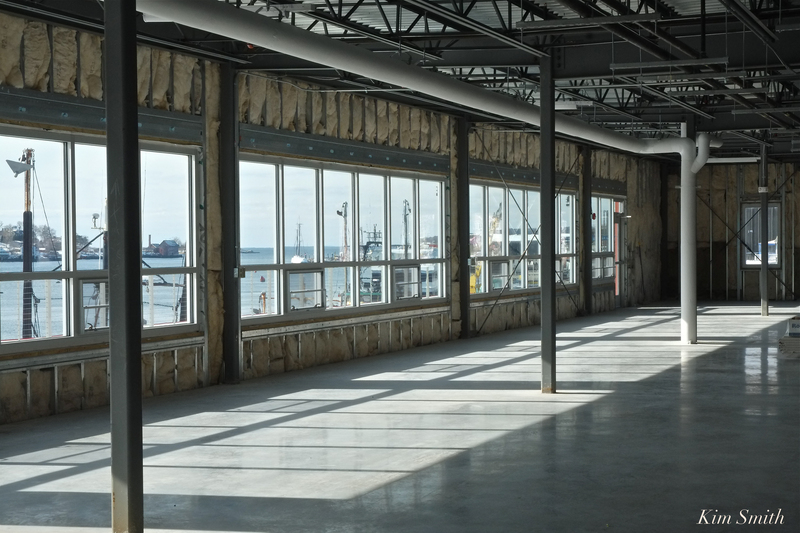 The second floor is available to rent and the build out possibilities are limitless, with a huge amount of floor space, sun pouring through the windows, and an expansive outdoor deck, including a spectacular view. 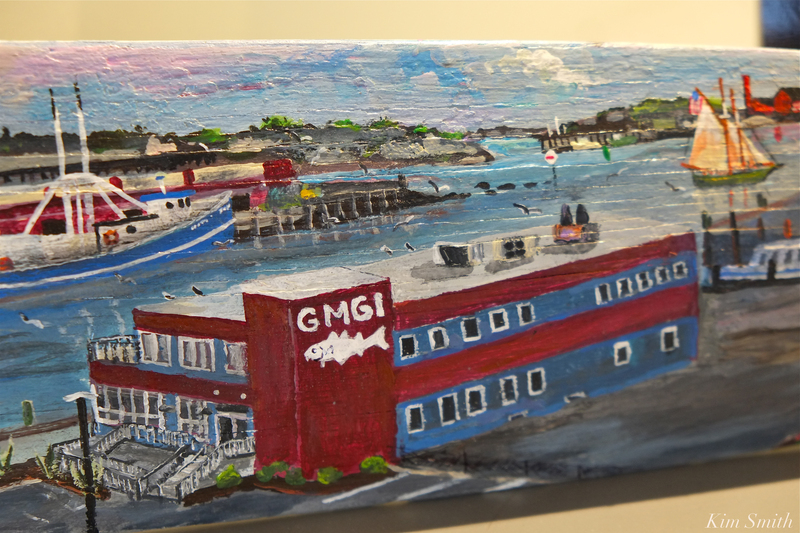 The Gloucester Marine Genomics Institute is located at 417 Main Street in Gloucester. Listen to our podcast and visit the GMGI website to learn more about the Institute’s research and education programs. This entry was posted in Gloucester and tagged American Lobster, Ashley Destino, blue lobsters, chris mccarthy, Gloucester Marine Genomics Institute, GMGI, hand painted oars, Homarus americanus, Joey Ciaramiatro, marine education and research institute gloucester, Mesocentrotus franciscanus, Red Sea Urchin, Ron Gilson, Sam Nigro, Tim Sullivan on February 23, 2019 by Kim Smith.